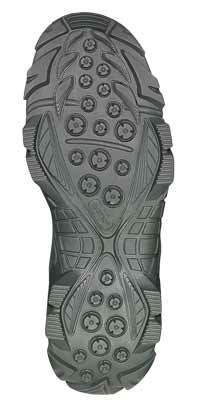 Built for military and civilians alike, the Bates 4276 Sage Green GX-8 tactical boots are up for any mission. 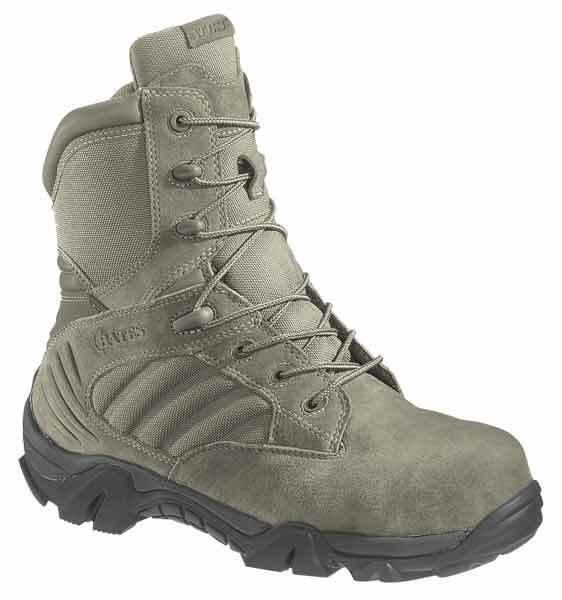 This military boot is constructed of sage green stain and water resistant Wolverine Warrior Leather and nylon, as well as a breathable mesh lining, allowing this boot to keep your feet more comfortable. A non metallic composite toe in the Bates 4276 Sage Boots, offers protection matching that of a steel toe boot, without the additional weight of steel. The Bates safety toe boot also features a cushioned removable insert, slip resistant rubber outsole and a YKK nylon side zipper, making slipping in and out of these combat boots a breeze. If you're looking for a rugged boot that offers convenience, comfort and durability all in one streamlined package, look no further than these Bates 2276 Sage Green GX-8 Safety Toe Military Boots. Check out these Bates Boots online today! Please note, any slashed price represents suggested savings from the value or market price of this item rather than current or temporary discounts. Copyright Policefeet.com. All Rights Reserved.